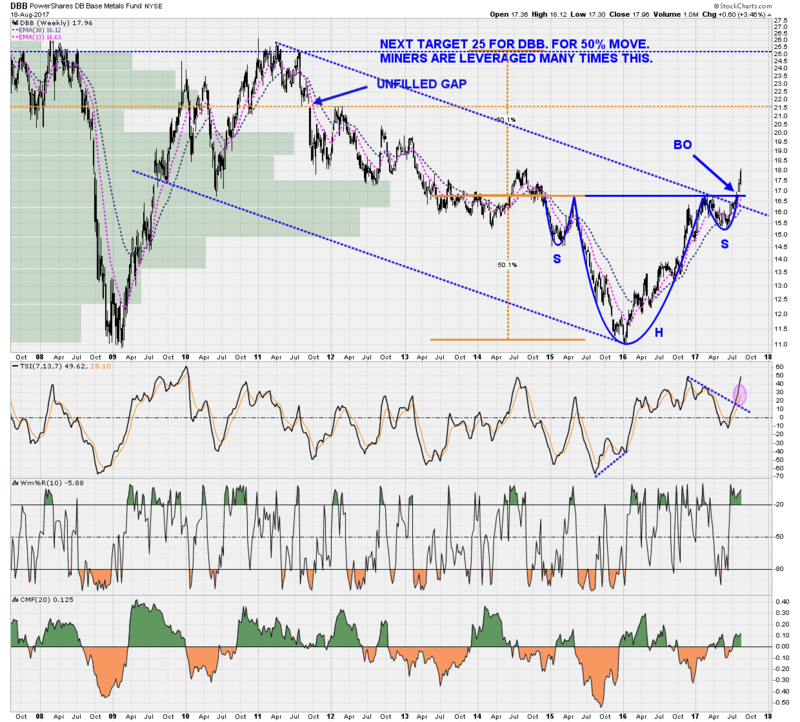 The weekly chart of the industrial metals below, shows a strong impulse move up is underway, with projections as shown. The next target is around 21.5 where there is an unfilled gap, which is about 20% move up from current price. The metals miners are leveraged to this strength and should outperform the metals themselves. The longer term target is around 25, which was the 2011 highs, and which is 40% above current price. The miners should outperform at least 2:1, so 80% (or more) move up in the price of the metals miners in general, is expected. As shown below, USDU is consolidating here, forming another bear flag, before it moves lower. Price has closed for 5 weeks now below strong overhead resistance, and there is no evidence of divergence to support a rally of any significance. Its on a slippery slope, on the wrong side of the drag curve, with no real support until the bottom of this chart. The timing is April next year to reach that support zone, for at least another 10% drop from here over the next 6 to 8 months. 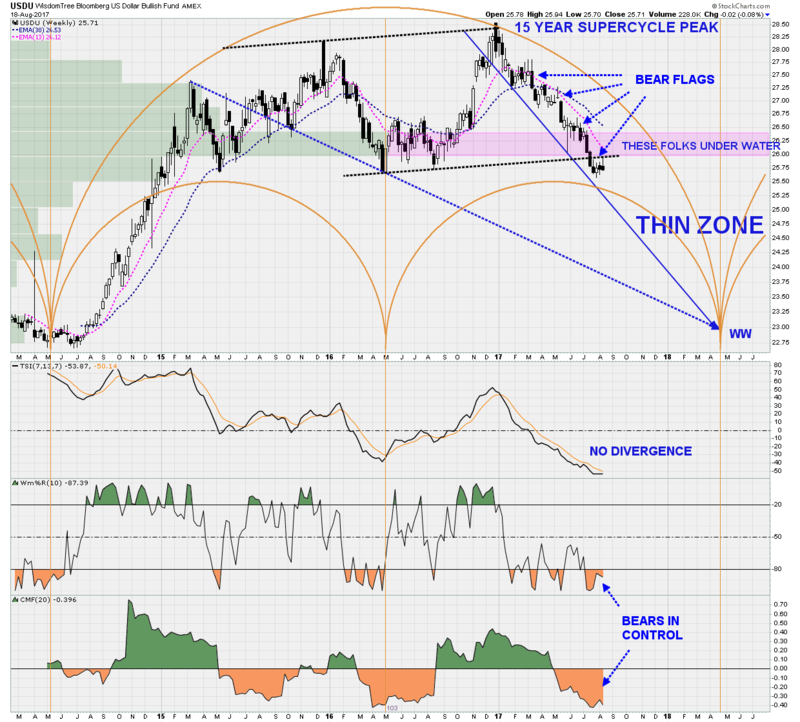 The $USD bear market should provide an additional tail wind for the metals, over the next 6 to 8 months.